Flipkart Big Shopping Days Sale 13-16 May 2018 Shopping Offer. Now FlipKart has come up with its new sale that is FlipKart Big Shopping Days Sale + Get Extra 10% Off Paying Via HDFC Cards. Flipkart Big Shopping Days Sale 13-16 May 2018 Shopping Offer. 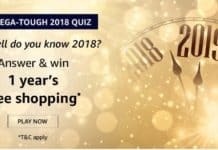 Flipkart.com brings you the Big Shopping Days, a 3 day mega sale on 13th – 16th, 2018 with amazing offers on even amazing products. So don’t miss it. 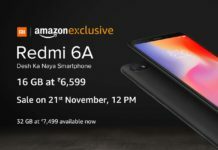 0.1 How To Buy on FlipKart Big Shopping Days Sale? 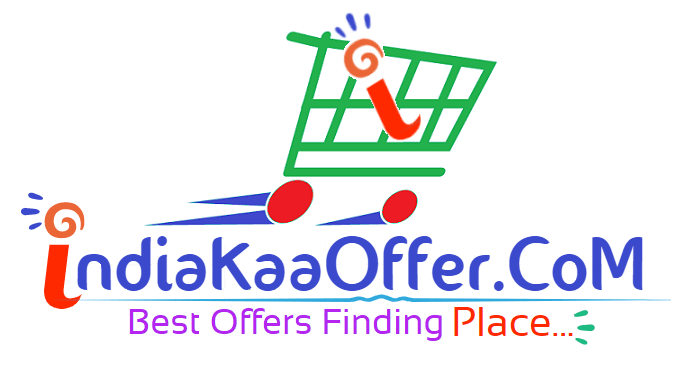 How To Buy on FlipKart Big Shopping Days Sale? 2) Add product to cart. 3) Login or register your flipkart account. 5) Proceed to payment and pay the amount using HDFC Bank Debit & Credit Cards. Save Money And ENJOY 😀 With Discount Products. More Special Offer May Be Come Soon. How do I check if a product is eligible? * Offer is applicable across all categories. However, the offer will not apply on purchase of select products. 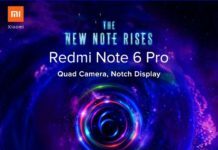 Please check if the offer is listed on the product page, before making the purchase. * For complete list of exclusions, please refer to the detailed Terms and Conditions. Is the offer applicable on all HDFC Transactions? 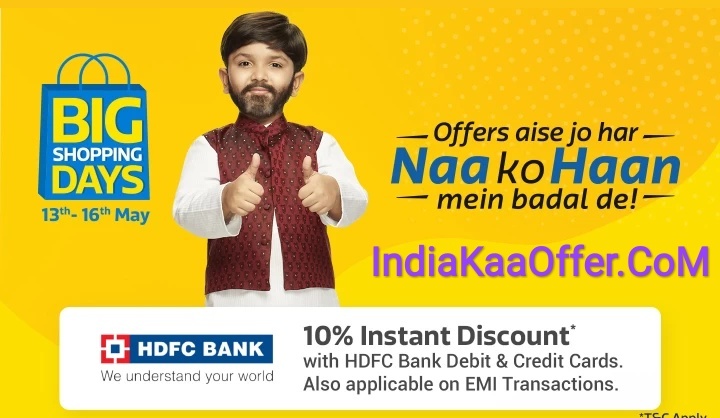 * This Offer is applicable on all HDFC Credit/Debit Card transactions (including Credit and Debit EMI Transactions) except for transactions made using HDFC Bank Corporate or Commercial cards. * Offer is NOT applicable on transactions made through Internet Banking. Will I get the offer if I pay using an HDFC Bank Debit or Credit Card via PhonePe? * Yes, you can avail the offer. In this case, offer will only apply on the amount paid through HDFC Bank Debit or Credit Cards against the eligible product(s). 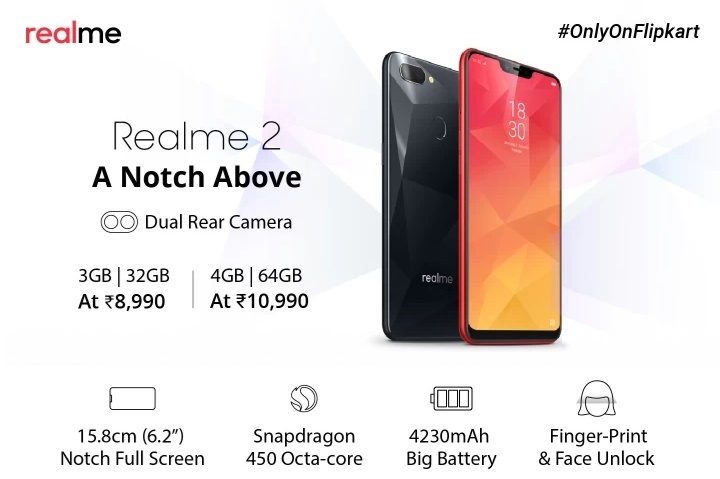 Also, this amount should be equal to or more than INR 4,999. How many times can this offer be availed? * There is no limit on number of transactions. However, you can avail up to a maximum discount of INR.1,500 per Card. For More Offers Visit Here. Note :- If you have any problem related to anything please comment in comment box or mail us.